There are many people out there who want financial freedom, but lack the capital and/or knowledge. In fact, most people start here, since few are born with capital, and no one is born with the knowledge. All you need to be a successful real estate investor is passion and the willingness to learn. Today I’m going to share the best resources you can use to educate yourself. In today’s age, there are endless resources at your fingertips. I’m going to share some podcasts and books that will accelerate your learning curve, by learning from others. Consider yourself already ahead of the pack! You’re listening to this podcast which shows your willingness to learn. Keep in mind, not everyone even knows what a podcast is. Imagine all of the content those people are missing out on! Remember that quote earlier from Benjamin Franklin about investing in your knowledge? Well I can’t think of a better investment than listening to a free podcast. You can listen to podcasts while exercising, running, doing chores around the house, etc. Rather than listening to music, or television in the background, etc. you can turn on a podcast and soak in knowledge. Another great investment is books. Business books and autobiographies are my personal favorite. Imagine a scenario. You want to lean about say, technology or starting a business. Well, pick up the phone or email Elon Musk or Jeff Bezos. Chances are, you won’t be successful in reaching those people. Or maybe you want to learn from someone who is actively buying multifamily properties, and owns thousands of apartments. Well, call Ken Mcelroy or Grant Cardone. Chances are, those guys are too busy doing deals and running their business to take every phone call and email they get. So how can you learn from these types of people? Books! You can go on Amazon and buy a book for around $10 that will give you insight to almost anything you can think of! Here are a few of my favorite resources I have found valuable. Get Rich Education by Keith Weinhold. This was the very first podcast I ever listened to, and it has resonated with me. Keith preaches abundance mindset and expanding your means through sound real estate investing. BiggerPockets podcast. BiggerPockets is the real estate networking giant. You can find almost anyone involved in real estate on there. The podcast, hosted by founder Josh Dorkin and co-host Brandon Turner, interview a wide range of real estate professionals. Life Time Cash Flow through Real Estate Investing with Rod Khleif. Rod focuses on multifamily, but also has a lot of experience buying single family homes. These are just a few of the many real estate investing podcasts I listen to. With books, I found I was able to learn about much more specific topics, much like a lesson. Rich Dad Poor Dad. 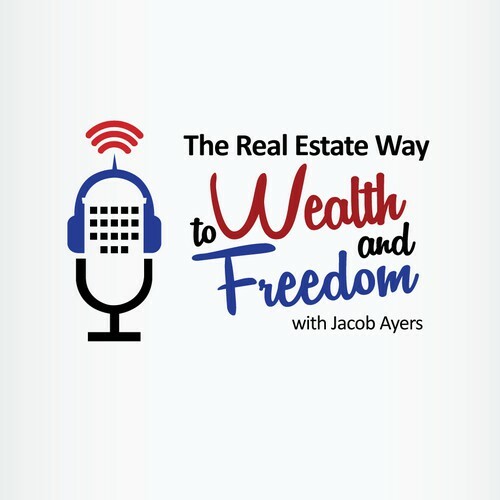 By now, you’ve heard many of our guests on The Real Estate Way to Wealth and Freedom recommend this book, and for good reason. This book has the power to change your mindset and how you earn income. These are just a few of the real estate investing books I have read and recommend. So why does one need to educate themselves? Well for one, knowledge is power. Education will open up new doors, and even ones you didn’t know existed. Think about your paths that lead you to where you are today. It probably involved education in some capacity. Maybe it’s a college degree that landed your current job, or maybe an interest in a subject that you studied and became an expert in. Maybe just a hobby that you spent a lot of time doing. Education is the foundation to success. When it comes to education, there are two mistakes people make. The first is never getting started towards achieving their goals because they lack the education to get there. The other is rushing towards your goals without any education. While acting is important, you must act armed with knowledge. You must never stop learning. You must continue to grow, expand, and learn everything you can. At the end of the day, all you have is the knowledge you’ve accumulated in your lifetime. Make that asset as valuable as possible, and you’ll achieve great things.